Jersey's beaches are one of the islands many assets. 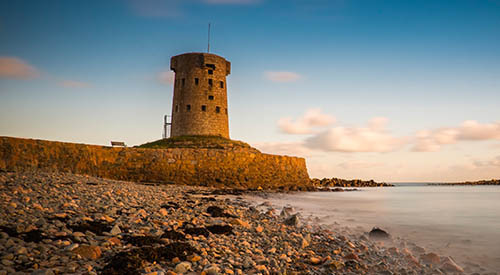 Feel the fresh sea breeze in your hair and the sand between your toes on Jersey's beautiful beaches. You'll find rock pools teeming with marine life on the north and east coast, or glorious golden sands on the south and west coast. 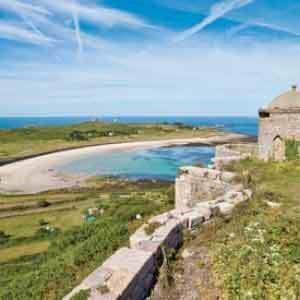 All around Jersey you'll find small, unspoilt coves with rock pools interspersed with glorious stretches of sand. 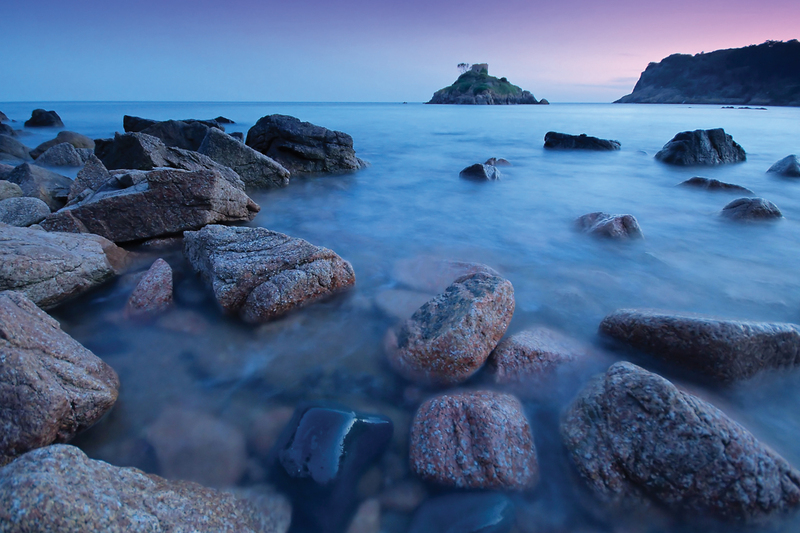 Jersey boasts so many idyllic beaches that you could easily spend your time at a different one each day. 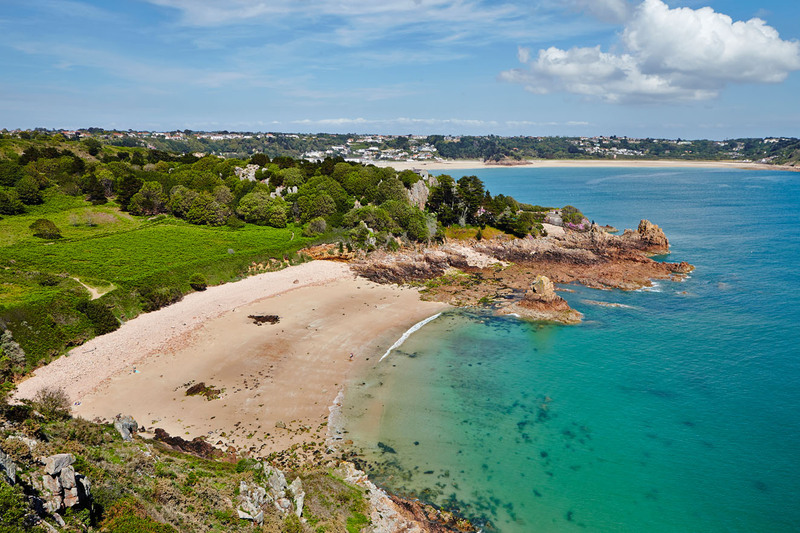 St Brelade in the south of the island has a fabulous stretch of golden sands which are perfect for beach games. This beautiful Jersey beach is south-facing which will be in the sun for most of the day hosting a whole range of watersports along with Deckchair hire. 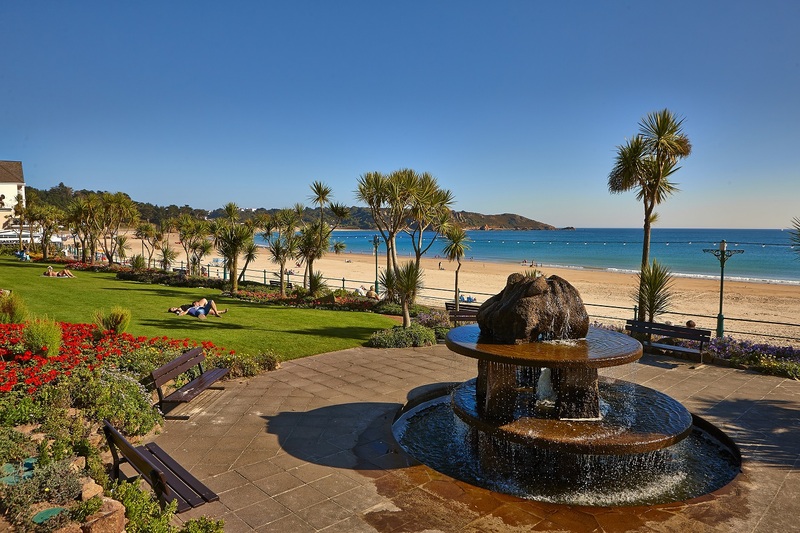 St Brelade's Bay also offers a great choice of beach cafes and restaurants. 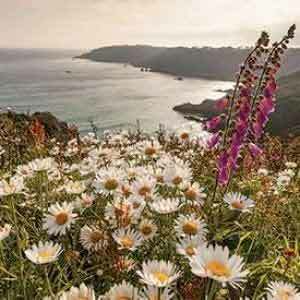 One of Jersey's most delightful beaches, this veritable sun trap is on the south coast. A small and sheltered beach that provides the perfect place to relax. A well shielded, wide, golden sand Jersey beach, accessed by steep steps. Cliffs and rocky headlands provide good shelter. There are caves and shallow pools to be explored and a continental café nearby. 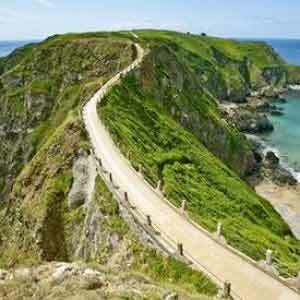 Is small and unspoiled, nestled in a cove with a wooded hillside rising behind it. A single street of houses and seaside stalls front the promenade. 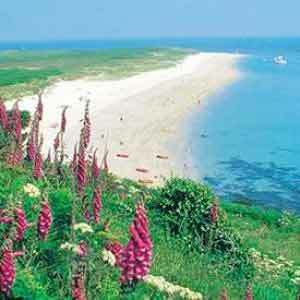 This is a picturesque fishing harbour with a small sandy beach to relax on. This west coast bay is where you'll find the rolling waves and due to the mild climate there's always an opportunity for surfing. Corbiere Lighthouse stands at the far end of the bay and is accessible via a causeway at low tide. This is a very exposed Jersey beach which makes it more popular with surfers than sunbathers. A host of beach cafes for refreshments are available. Children will love to explore this vast Jersey beach as low tide reveals lots of rock pools. 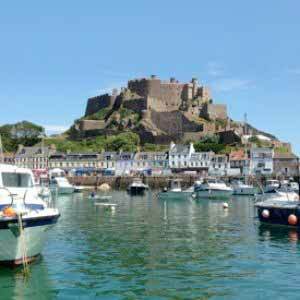 On the west side of the bay is the picturesque fishing village of St Aubin where quayside bistros and cosy inns offer tempting fare. St Aubin's Bay itself is a sweeping crescent of smoothly sloping sandy beach where the waters are calm enough for water-sports. 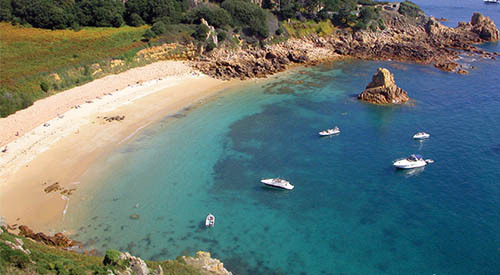 A short drive from St Aubin takes you to the photogenic beach of Portelet Bay. Sheltered by steep headlands, the only way down to the inviting golden sands is by a five minute walk and almost 100 stairs! Portelet Bay Restaurant and the pub at the top of the steps, the Old Portelet Inn are both family favourites.